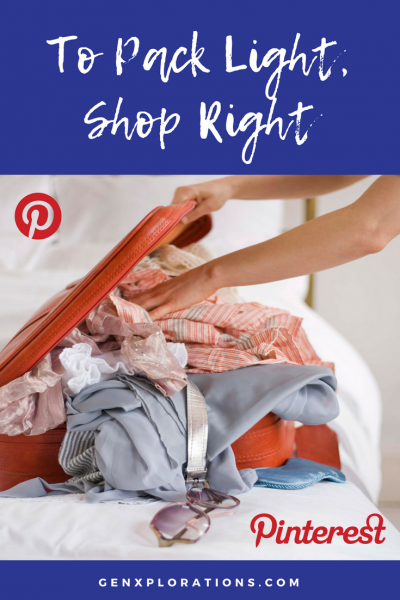 Packing light is more a function of shopping right than anything else. If you purchase heavy clothes you will never be able to pack light. Let’s face it, thick enormous clothes simply take up more space and ultimately weigh more. It’s time you begin thinking differently about how you shop. You don’t have to give up fashion entirely when traveling but if you want to reduce your load you need to think about function more than fashion. Consider pieces which are basic, comfortable and packable. 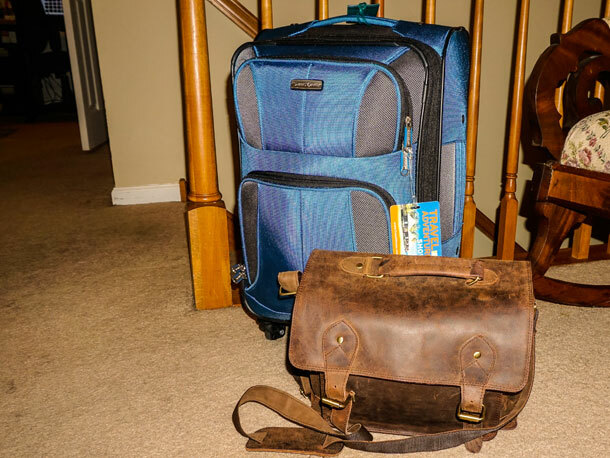 Believe it or not, it is possible to pack for a 10-day trip with a single carry-on when you think ahead. 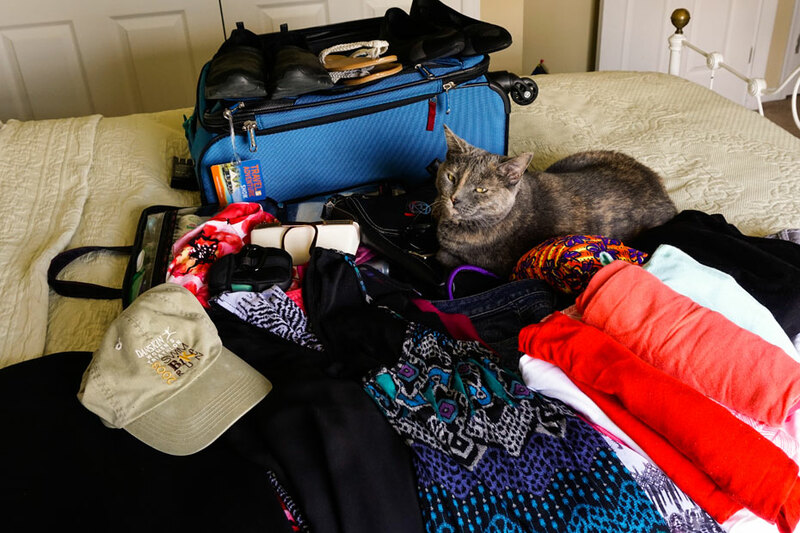 When packing for more than one climate this can be particularly challenging but even if you still have to check a bag at least you may be able to lighten the load. You may be thinking that you can’t afford to have two wardrobes: one for every day and one for travel. You don’t need to start a new wardrobe. Take an inventory of your closet. You probably have more monochromatic or neutral items than you realize. Also, consider what items are wrinkle resistant. Then start filling in the missing pieces a little at a time. Wait for things to go on sale. Buy in the opposite season. Consider packing only basic monochromatic pants and skirts. Save the color for your tops. Buy brightly colored shirts that can be worn individually or under a jacket. Again, look for items that require minimal ironing. Look for garments that can either be dressed up or dressed down based on the accessories. Purchased some cute lightweight shoes such as Skechers (this is not an endorsement). Find one pair that is suited for most pant styles and one dressier pair can be worn with a skirt or dress. For warm weather destinations, of course, pack a pair of sandals. A word about accessories. They are a fantastic way to change your look without adding a lot of bulk to your luggage. Carry scarfs that can be worn around your neck, tied around your waist as a sarong, draped over the shoulders as a shawl. Scarfs also give a stylish put-together look to most outfits. Additionally, pack a few classic and versatile pieces of jewelry. And don’t forget a crushable hat. Finally, if there is any magic to packing and keeping some style, this is it: wear all the heaviest items: a second pair of jeans, a sweater, a second jacket or if the first doesn’t fit in the luggage, wear it. If you want tennis shoes or boots on the trip, wear them. This helps keep both the bulk and the weight of your bag down. A detail that should not be overlooked is the weight of your bag. When you pack many garments in a suitcase it gets heavy regardless of how lightweight the items. Your bag can get real heavy real fast. If you are trying to travel with just a carry-on, remember you have to be able to lift your luggage over your head to put it in the overhead compartment. Consider your abilities. If you have a bad back or some other ailment you may want to consider checking the bag. If you know you don’t have good upper body strength, again, consider checking your bag. Be honest with yourself about your limitations. What’s the point of being able to pack everything into a carry-on if it becomes more of a burden than checking your luggage? Buy right. Travel light. And travel safe.